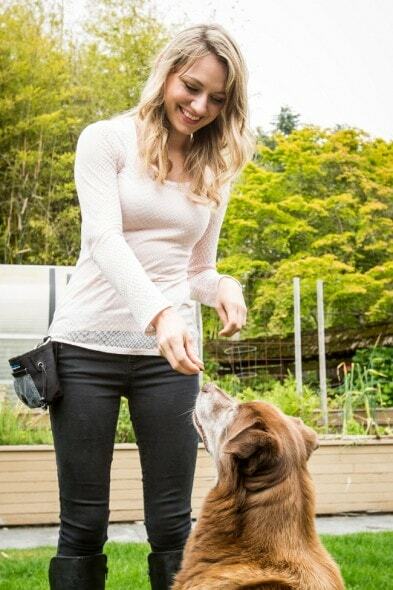 Aly DelaCoeur wanted a way to be able to share all she had learned with others who love dogs. It was important solid information was delivered, but not in an overwhelming manner, rather focusing on training the humans in a way that benefits all involved. The result? The founding of Why Does My Dog training videos website. 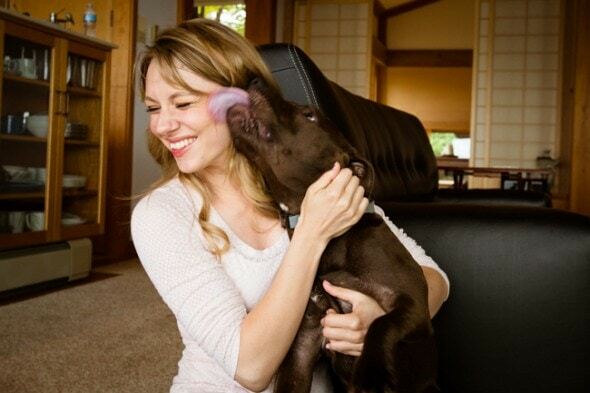 Life With Dogs had the opportunity to speak with Aly to learn more about the woman behind those videos and her motivation. LIFE WITH DOGS: How did you become interested in dog training? Was it the because of the canines or perhaps more about the behavioral aspect? ALY DELACOEUR: After high school, the only jobs I was able to find involved working with either children or dogs. I had some experience with Childhood Development so I was able to adjust to the education field quite easily. It was much more difficult working with dogs because I lacked the experience and education. People often told me I had a natural knack with animals, almost as if I was born to work with them, and as a result were eager to hire me. However, I am a strong believer that even if something comes natural to you, you should still work hard to improve. I started reading books, researching and eventually taking an apprenticeship to further expand my knowledge of animal behavior. 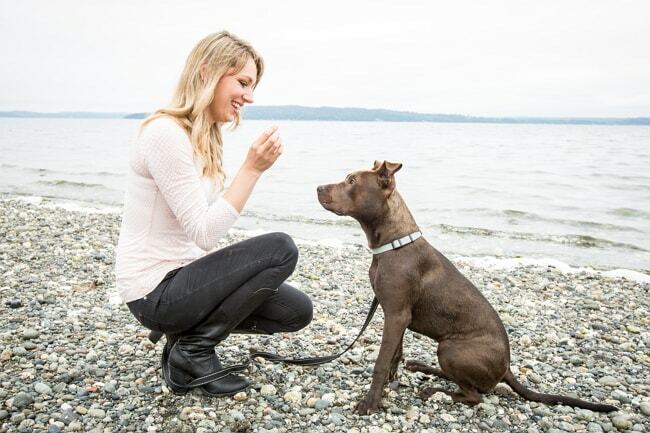 What really sparked my interest in dog training was when I went to school for a Bachelor’s degree in Biology because I began to learn the science behind why animals behave the way they do – and I’ve been hooked ever since! LWD: Was there a particular animal or experience that lead you into this field? AD: After high school, I moved in with my Aunt and her multiple dogs. One dog, Duke was considered so aggressive that his vet suggested he be put down. I didn’t have much experience with dogs at that point, but we bonded right away and I didn’t see him as an aggressive dog. I felt like there was something else going on with him. I started watching popular TV shows on how to deal with him and realized I didn’t want to have that kind of a relationship with my dog, so I began researching other methods that were not popularized in the media. Within months of me learning about redirection, positive reinforcement and extinction techniques, he was a changed dog and my love for the science of animal behavior only blossomed from there. LWD: How does your background come into play as an expert in dog training? AD: When I was younger, I was considered quite the troublemaker. Teachers would often tell me that there was no chance a family would want to adopt a bad kid like me. Once I was adopted, I was given a second chance with parents who were able to help me harness all of my energy into something positive. I believed that this method could also work when it came to training dogs. I find their behavior comes from reasons other than being a bad dog; they simply have not been given the chance I had. During high school and most of college, I worked with children, from being a librarian to an after school teacher. I focused on Childhood Development and Psychology to try and help the kids in my care. When I started working with dogs, I saw many parallels between children and dogs. The more research I did, the more I saw that similar techniques and behavioral theories could and were applied to dog behavior. LWD: What is your position on training in terms of the human factor? You mention training humans with positive reinforcement, so how does that work within the context of what you do and promote? AD: I strongly believe that people love their dogs and want to provide the best for them. I think a lot of the popular training techniques we see in the media make people uncomfortable. They don’t want to hurt their dogs or battle for the alpha position. People tend to see what works on TV and try to replicate that with their own dogs because they don’t know any different or don’t have the education to differentiate bad training from good training. That is why I think it is so important to provide options for people that aim to enhance the relationship with their dogs. Positive reinforcement allows you to have a happy and loving relationship. LWD: Can you expand upon what “positive reinforcement” for a human entails? How does that translate to people working with their dogs? AD: People like to succeed. They like to be rewarded. They like to see results. Positive reinforcement is really another term for motivation, encouragement and relationship. So, if in our work we like it when we are rewarded for our work and get raises, why would we think that dogs prefer to be zapped, held on the ground or jerked by the leash? I think that positive reinforcement comes naturally to most people. They may or may not know that everything in their life is about motivation. So with their dogs, just like their children, they want to be able to praise and reward. 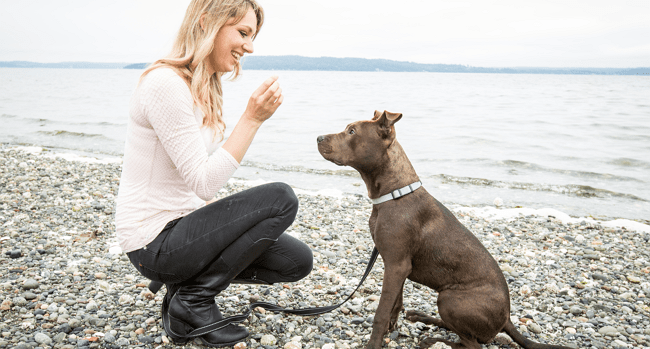 Where most people are lacking is in how to get the dog to do the right behavior in the first place and this is the most important part of positive reinforcement. LWD: You talk about delivering information that is in a “snackable” size. Can you explain what that means? AD: We live in the fast-paced world. When we want information we want it immediately. Personally, I do not want to sit through an advertisement, an introduction and product placements with commentary. Especially with dogs, you need to know how to deal with a behavior right away, and we aim to do just that. Here is what you need to know and why. If you like our videos you can learn about us and products and sponsors on our social media channels and our website, WhyDoesMyDog.com. LWD: How effective is training a dog through video? Are they any issues with misinterpretation on the part of the human? Do you think it should be supplemented by real classes or working with trainers? AD: I think video training is very effective. However, there are many behaviors that really should not be answered from watching a video or TV show. The goal of the site is to be a supplement to go. We love working with other trainers because it gives us the opportunity to learn from one another. LWD: Why do you think it is important for owners to train their dogs? AD: Training helps to mentally stimulate your dog. In fact, doing training can be as tiring as going for a walk, dogs crave the ability to learn and think. The most important part of training your dog is the relationship that you build. There is nothing that can replace the connection you have with your dog as you work toward a common goal together. Whether it’s something as simple as learning to sit on command or as complicated as a dance routine, the bond between your dog and you is very important. It is not about making the perfect dog, it is about enhancing your relationship. LWD: Is there anything that might surprise people to learn about you, Aly? AD: It usually surprises people to know that I did not grow up with dogs and I never in a million years thought that I would work with dogs or even own one! As a child, I wanted to either work with children or be a mathematics professor at a university. 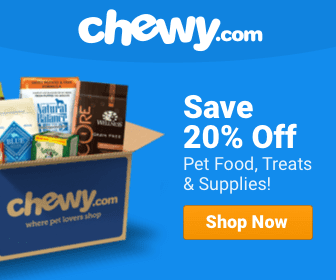 LWD: Do you have pets? And do you use your training methods with them? AD: I have three dogs King, Pumpkin and Truffle and I absolutely use my training methods with them. My training career started out when others saw what I did with my dogs and, in turn, asked me to help them with their own dogs. In fact, in most of our videos on WhyDoesMyDog.com, you will see me working with my dogs. With my new puppy, Truffle, I document a lot of his training and share on social media to show that there is no magic wand for trainers, we face the same hurdles as anyone else. LWD: Is there anything else you would like to share? AD: WhyDoesMyDog.com was built on the idea that people love their dogs and we really want to be the ones to help them have the best possible relationship with their furry family members. To learn more about Aly, her training methods, and to view her videos, please visit WhyDoesMyDog.com. I agree there is a huge advantage to using positive reinforcement. However her training approach is nothing new and has been used at the big-box stores in the US and shown on TV for the last 10 years in several TV shows. Where this approach is hugely successful is with low drive dogs that are biddable. I find it a disservice to keep touting that utilizing punishment in training, where needed, is some outdated or arcane approach to shaping dog behavior. I went to Aly’s website and watched several intro videos. She uses words that make her training method sound like her approach is natural to the dog. Well punishment, where needed, is also a natural approach. Anyone that has spent time with a puppy litter can testify to that just by watching the mother in the whelping box. She nips and punishes as needed, like when she wants left alone or she feels a pup is being overaggressive or out of line. Wolf packs correct each other all the time. I just wish trainers would call it for what it is and stop using the smoke and mirrors. A head-halty or stop pull harness are no different than applying a pinch. One just gets the dog’s attention a lot sooner and all must be utilized in the right way for training, or training will fail. I do not advocate the use of a choker for any reason. Punishment must also be proportional to the behavior, and this is where most people fail by applying too intense of a level of punishment thereby creating a mental conflict in the dog between the dog and the owner. Before I get hammered in reply’s realize I am not commenting as a novice. I have trained dogs professionally for over 7 years and work professionally with dogs every day. I’m just a realist and call it for what it is! Overall I support what Aly is doing because in the end it helps the owner and the dog have a more meaningful and harmonic relationship. I just wish we would stop limiting the tools in the toolbox of training, and would show people the right way to utilize all the tools so owner frustration doesn’t set in.